MAAS set out to design a medical transportation system to meet the emergency and non-emergency transportation needs of our community and provide win-win solutions to local hospitals needing to get patients moved in and out of their facilities without placing an undue financial burden on the facilities or on the patients being served. To do that we began partnering with facilities to determine their needs based on patient conditions and then offered the most appropriate modes of transportation. Our formula for success included hiring the best EMS professionals in the industry, offering a safe and friendly work environment, a competitive salary and benefits package, state-of-the-art equipment and a promise from the owner and management team to include all employees in the decision-making processes and profits of the company. Our vision to provide excellence in patient care and customer service continues to play a vital part in every decision we make. In September 2001, MetroAtlanta Ambulance was awarded by the State of Georgia, 9-1-1 zones in Cobb County, including the cities of Acworth, Kennesaw, Marietta and Smyrna. In December 2013, MetroAtlanta Ambulance was awarded by the State of Georgia, the 9-1-1 zone in Paulding County, including the cities of Braswell, Dallas and Hiram. MAAS has grown from 10 employees and 2 ambulances to a medical staff of more than 600 professionals, with a state-of-the-art communications center, fleet maintenance facility and a fleet of more than 100 vehicles. 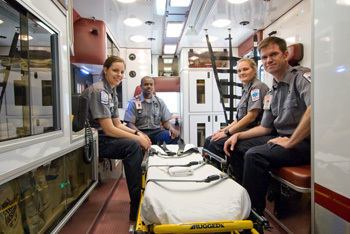 The leadership team at MAAS has a combined experience of more than 150 years in providing medical transportation and pre-hospital care services in Georgia. Today we continue providing 9-1-1 emergency ambulance services to the residents of Cobb and Paulding Counties including the cities of Acworth, Kennesaw, Marietta, Smyrna, Braswell, Dallas and Hiram. 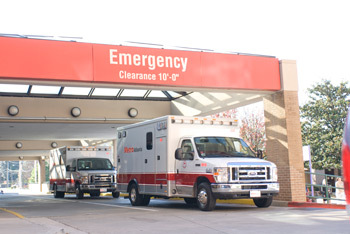 We provide non-emergency van, wheelchair, non-ambulance stretcher services, basic life support ambulance, advanced life support ambulance, specialty care ambulance, out of town/state ambulance transfers, special event medical services and fixed wing and companion air flights for contract facilities throughout the greater-Atlanta area. In 2011, we began providing services to the greater-Savannah, Georgia area including the city of Savannah. MetroAtlanta Ambulance was one of the first EMS Services in Georgia to provide online education and training courses for company employees and the first to successfully implement a pre-hospital STEMI Alert program in Georgia decreasing door to balloon time averages from 90 to 60 minutes. We were the first in Georgia to place the Physio LUCAS CPR Compression System on all 9-1-1 ambulances and one of the first to employ a Certified EMS Physician to serve as the Medical Director. MetroAtlanta Ambulance serves an integral role in the National Disaster Management Response System to World Disasters. In 2005, MetroAtlanta Ambulance coordinated EMS resources and transports as part of the National Disaster Management Team for the evacuation efforts into Dobbins Air Force Base of more than 1,500 residents from the devastated Gulf Coast disaster resulting from Hurricanes Katrina and Rita. In 2009 MAAS provided EMS transports over several weeks in the evacuation efforts into Dobbins Air Reserve Base of critical victims of the earthquake disaster in Haiti. In 2014, MetroAtlanta Ambulance partnered with Critical Care Med-Flight and began offering Specialty Care Air Ambulance Services. MetroAtlanta provides the Critical Care Medical Crew and CCMT provides the aircraft. CCMT is accreditated by the Commission on Accreditation of Medical Transport Systems signifying their compliance with the Air Medical Transport industries highest quality and safety standards. MetroAtlanta Ambulance also established the MetroAtlanta EMS Academy, a consortium with Kennesaw State University-WellStar School of Nursing, to provide a Paramedic training program that allows working EMS professionals the opportunity for educational development and growth by providing access to quality instruction, education and practical training courses required to pass the National Registry of EMT paramedic certification exam. In 2014, the MetroAtlanta Community Paramedic Program was established to provide expanded paramedic scope practice in our community. We are proud to serve the citizens of Georgia, proud of our employees, proud of our leadership in our community and proud of the progress we have made toward our pursuit of “Excellence in Patient Care and Customer Service.” As we keep our eye on the future of healthcare in America, we will continue to be actively involved in our industry and to position our company to be an economically viable solution for providing the pre-hospital care and medical transportation needs of our communities.